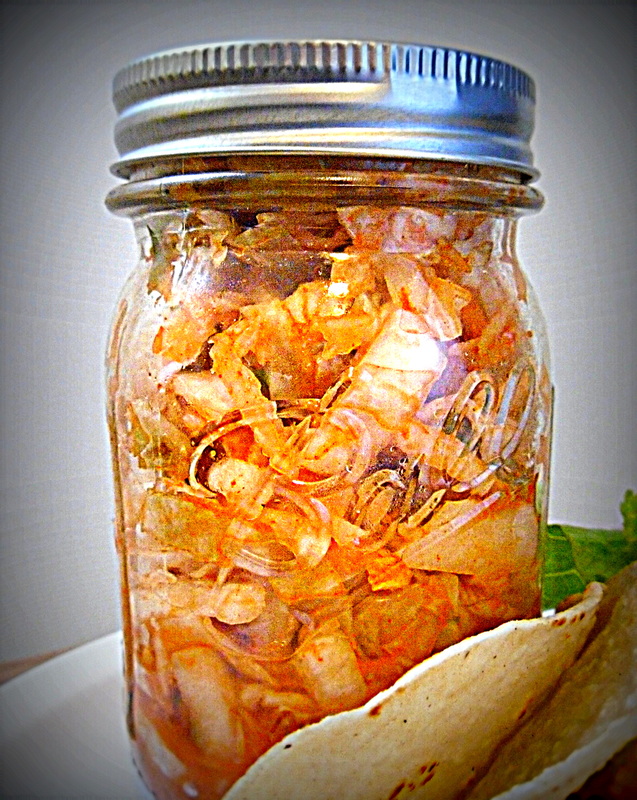 Tag Archives: can you make kimchi with kohlrabi? Now that we are not running a restaurant and not living near our garden, we signed up for four weeks of a late season community supported agriculture (CSA) membership. It is a great way to challenge our cooking and preparation skills. Steve wanted to see if he could get creative with the ingredients from our CSA box and make kimchi. Instead of using napa cabbage, this version has turnips cut into matchsticks, kohlrabi shredded, a head of regular cabbage course chopped. Our recipe is “mixed up” because we used more than just cabbage. Our family first learned about kimchi when Francine was in college and became friends with several people from South Korea. If you haven’t tried kimchi before it is is a traditional Korean dish of fermented chilli peppers with cabbage. The dish is as large of a part of Korean culture as cheese is to the culture which we were raised. While it is mostly served as a side dish, it can also be used as a basis for other meals such as fried rice, broths and stews. I didn’t think I was a fan of Kimchi. I have tried to experience the appeal in the past but didn’t think I had acquired a taste for the dish. This batch convinced me otherwise. I love the ginger that lingers and I appreciate that it is not quite as hot as other versions I have sampled. 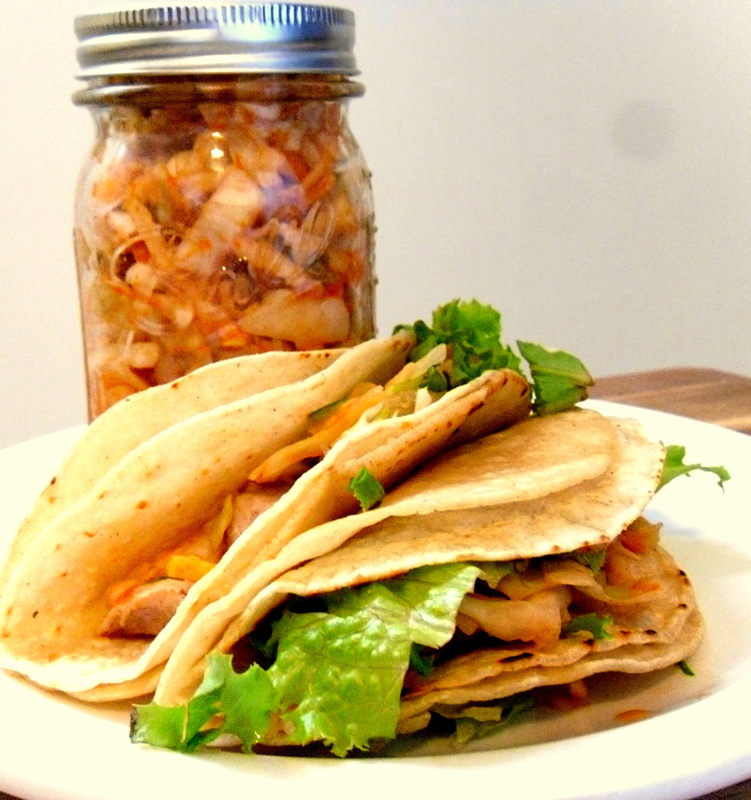 The very day Steve made it, I saw a blogger (Teacup Chronicles) who used kimchi to make tacos. For the last week I have been eating just a bit for breakfast or lunch as an easy was to add more veggies when ever possible. Find a container to dissolve the 1/2 cup salt in 4 quarts of water. After chopping the cabbage, kohlrabi, and turnips, toss and let soak in the water/salt mixture for an hour or two. It goes against our intuition but this process actually takes the extra water out of the veggies. Save the scallions until you combine everything at the end of the process. To make the sauce you will begin by heating rice vinegar, sweet glutinous rice flour or (1/2 cup cooked rice liquified in a blender) and 1/2 cup water. Heat until the sauce is thickened and then add ginger, garlic, Korean paste, fish sauce and sugar. 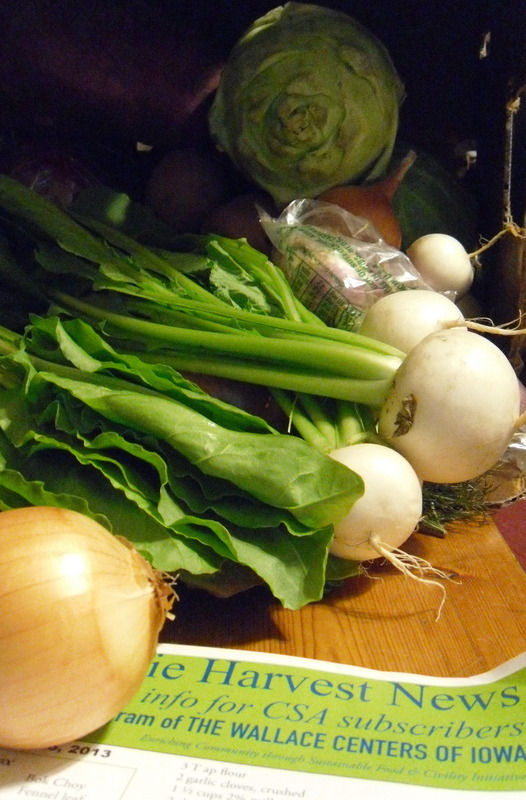 Combine all and set aside while you finish preparing the greens (cabbage, kohlrabi, and turnips). We added a little pork and some salad greens on two white corn tortillas to make kimchi tacos. Here is the blog post that inspired us but we topped ours with sesame seeds and added sesame oil, rice vinegar, and lime to the salad greens. Let us know if you like kimchi or if you are willing to try it. Keep in mind, it could take awhile to get used to it. Once you do, you will crave its fermented goodness.